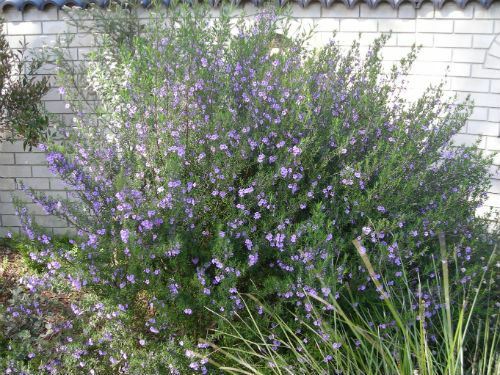 I have been growing Prostanthera phylicifolia for many years, in my garden in the northern Sydney suburb of Westleigh. 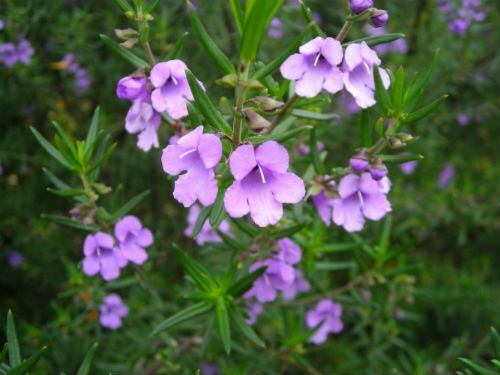 It is a rounded shrub that grows to about 1.6 metres high with a similar spread and produce masses of violet/purple flowers in spring. All the reference books state that Prostanthera need perfect drainage to ensure long life. My plants are growing in a thin layer of topsoil over a clay sub soil in a well drained position and receive some additional watering in dry spells. They are very hardy and grow best in a position that does not receive full sun and prefer dappled light or shade. The only maintenance required is to give them a good pruning after each flowering to keep them compact and promote better flowering next season. I remove a third of the new growth. They strike very easily from cuttings (nearly between wet fingers). This is plant that will grow in shade. I made the mistake once of planting one in a position that receives morning dappled shade and full afternoon sun. This caused new sappy growth to wilt. When the sun goes off the plant it recovers and still flowers spectacularly. Some Prostantheas have a short flowering time. However, I find that this species flowers for me for well over a month in early Spring. They are reportedly frost resistant and are a favourite plant on the west coast of USA. Prostanthera phylicifolia is stunning in flower as the pale violet/purple flowers contrast beautifully with the small dark green aromatic leaves. I am not sure why its Common name is Spike Mint Bush, as its leaves are quite soft. A great addition to any gardens particularly in shade.